A study led by Dr. Sunita Mulpuru found that the flu vaccine was associated with a 38 percent reduction in flu-related hospitalizations among people with chronic obstructive pulmonary disease (COPD). The researchers looked at the records of 4755 Canadian patients with COPD who were hospitalized during winter seasons between 2011 and 2015. They found that 38 percent of hospitalized patients (1833) were infected with flu, and that these individuals were at greater risk of death and needing critical care compared to those without the flu. One out of every 10 patients with the flu died, and one out of every five required intensive care. Despite the clear benefits of flu vaccination for people with COPD, only 66 percent percent of patients in the study were vaccinated. Further, only 69 percent of patients with confirmed flu received antiviral treatment in hospital. These results suggest that greater awareness is needed among patients with COPD and their health care providers regarding the severe consequences of flu and the benefits of vaccination. 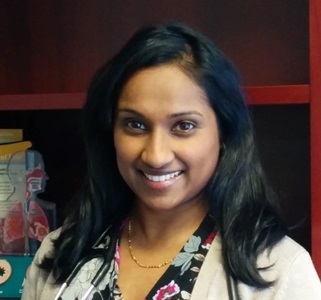 “We strongly encourage patients with COPD to receive the flu vaccine each year to protect themselves against the serious health consequences seen in this study,” said Dr. Sunita Mulpuru, associate scientist and respirologist at The Ottawa Hospital and assistant professor at the University of Ottawa. Funding: This study was supported by the Canadian Immunization Research Network, Serious Outcomes Surveillance Network, Public Health Agency of Canada, Canadian Institutes of Health Research and GlaxoSmithKline. Research at The Ottawa Hospital is possible because of generous donations to The Ottawa Hospital Foundation.